‘Why don’t you try and find a girlfriend/boyfriend over a quick game of Jenga?’ said nobody, ever. But as the lust for app dating slides, fun-seeking Londoners are returning to face-to-face romancing on the look-out for a new squeeze. And Smudge Lipstick think they’ve found the answer; Jenga Dating. The principle is simple enough. Stuff two-dozen handsome Londoners – and me – in to a backroom of Drink, Shop & Do in Kings Cross. 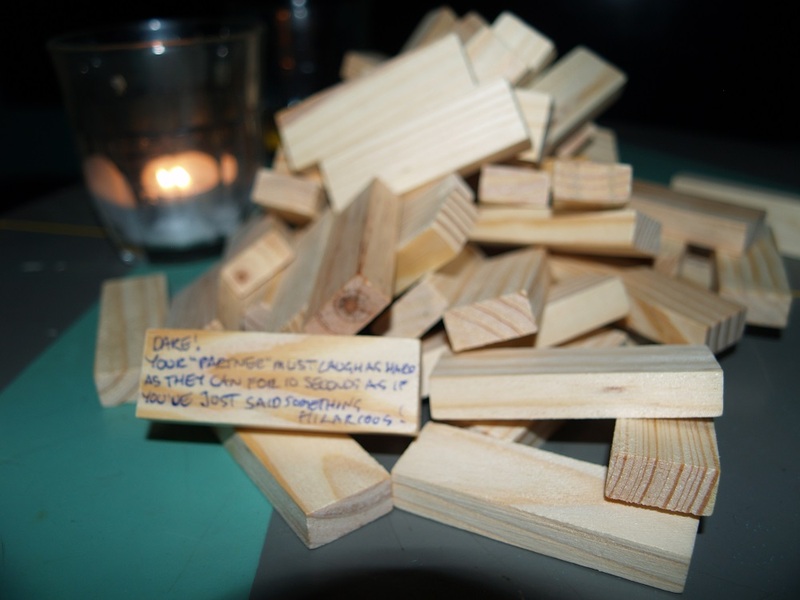 Gamers circulate tables a la speed dating but instead of having strained and awkwardly British chats about friends and jobs over cocktails, we now do it over cocktails………….. whilst playing Jenga! For those not in the know, Jenga is a game of balancing blocks. 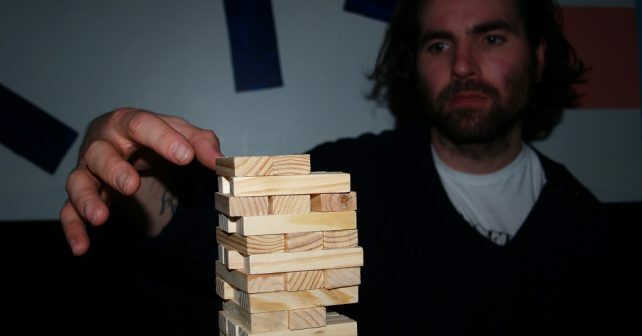 Players take goes removing wooden chips from the body of a tower and stack pieces on top. The loser is the one who topples the precarious pillar. I start up with five-minutes opposite a chatty Antipodean twenty-something in sequins. We discuss work and hobbies whilst letting out audible gasps as our tower threatens to tumble. Conversation runs dry half way in so we focus on the game at hand. Soon the bell rings and the ladies circulate for their next date. We all then tick a YES or NO next to each suitor’s name. Some of the tiles had cheeky dares scrawled on them in biro. Things like: pretend to be a walrus or laugh out loud for 10 seconds. Not a bad ice-breaker and perfect for the shameless drunk extrovert, I guess. But I sidestepped mine insisting we focus on the game instead. Next up is a smiley Home Counties type, all pearly teeth and good hair. She tells me sheepishly that she’s only here to support her housemate get back in the game after some time out of dating. We casually talk work and Trump as we slide wooden blocks this way and that. The bell dings and we part shaking hands. And one more lady arrives to take over the game. It’s surreal but hilariously so. 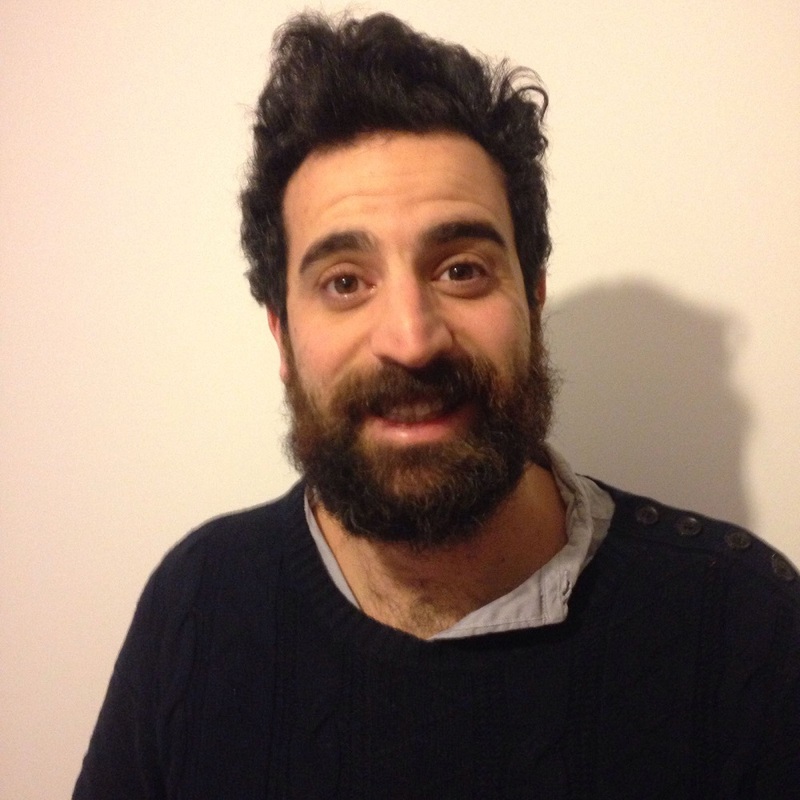 The organiser of the night is Aussie fella, Jordi Sinclair. He’s acting as host, time keeper and – as the room is one chap short – fellow dater. By 10pm or so the night is up. Everyone is much more relaxed than the start and daters tot up their scores and hand logs back to Jordi. For busy singletons it’s a light-hearted way to flirt and have fun. As for me; I had a few fun dates, a right laugh AND my Jenga game improved.